Where steel is subject to contact with the ground and can be frequently damp (such as sweating between the liner and the tank wall), galvanised steel out performs Zincalume for corrosion resistance. This is why you don’t see Zincalume posts in the ground, and structures such as large road culverts are mostly made from galvanised steel. Zincalume is a good product for the roof of a structure, where constant water immersion or constant sweating problems do not exist. It is not suitable in our opinion as the best material for tank wall construction, where sweating is common, and the tank touches the ground. Most of us have seen where a zincalume fence or shed wall has been touching the ground. Over time, corrosion sets in where the zincalume remains damp for long periods. It is more costly to manufacture from galvanised material, but when you consider the 20 years plus service life you expect from your investment the additional 3 – 4 % in cost is well worth the peace of mind. When installed on a sand or crusher base as per our Base Preparation Guide, sacrificial anodes are not required as with some Zincalume designs. This removes any future maintenance, cost or warranty issues as there are no sacrificial anodes to be changed over time. 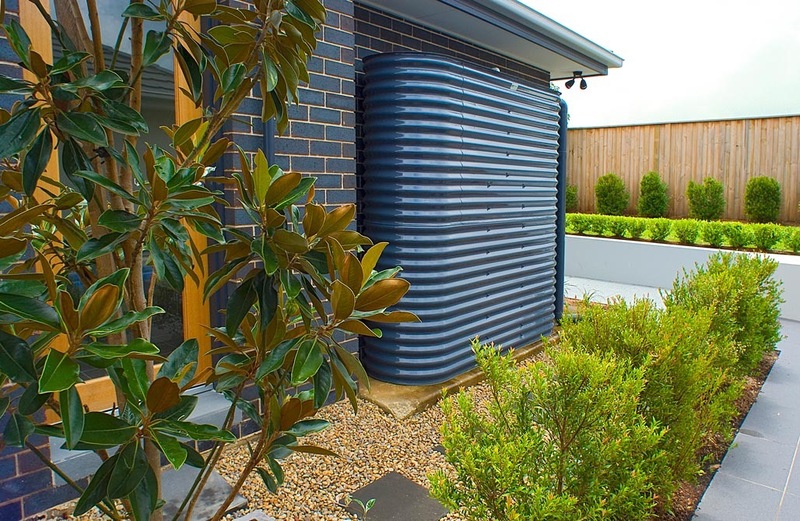 For our traditional galvanised range, The appearance of galvanised corrugated iron tanks is iconic to South Australia, and steel tanks do not bulge or stretch when full. 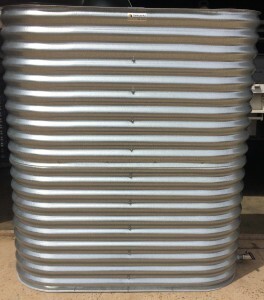 The strength of Galvanised Corrugated iron allows the tanks to comfortably hold the large centrifugal forces generated by heavy tonnage forced outwards in water storage. Steel tanks have been used for more than 100 years, so the structural longevity is proven. Strength will not deteriorate over time due to the harsh Australian sun as it may with other materials. The fire resistance capabilities of steel vs plastic can also be vigorously debated, and local councils are approving my Corrugated Galvanised iron water tanks as suitable for fire water storage. Water taste and temperature is also important to my customers, with many of them saying they love how cool and neutral tasting the water is on a hot summers day. We all know that you should get back out of the tank the same quality of water that goes in. Galvanised steel allows no light to permeate the tank walls or roof, even over long periods of time under the Australian sun, guaranteeing you the crystal clear water that went into the tank. If light was to slightly permeate the tank, algae growth would begin, contaminating the water making it unsuitable for human consumption.